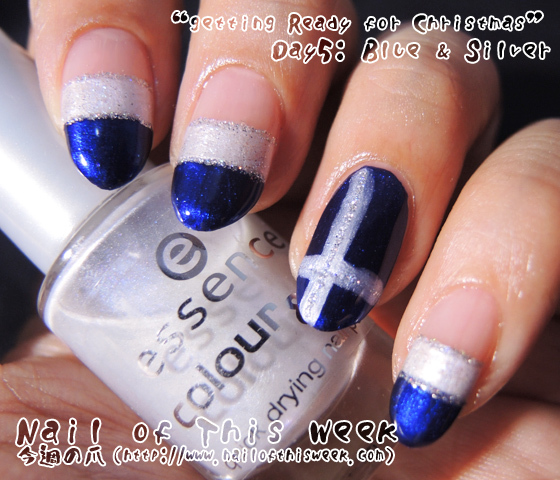 grfC Day5: Blue and Silver : Nail of This Week. Today’s mani is for 5th theme of getting ready for Christmas challenge, “Blue and Silver”. Since I’ve seen this theme I wanted to use shimmery navy blue, one of my favorite polish color + finish but which I haven’t used for ages, and also silver glitter liner which I thought it’ll be great to make the mani festive. Then I found silvery white in my stash; so why not combining all these?